for women earning more than Rs 15,000 month. The announcement comes in wake of complaints that many companies were reluctant to hire pregnant women after maternity leave was extended from 12 to 26 weeks and some were even firing women employees. The decision covers both the government as well as private sector. 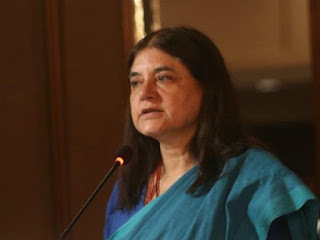 This decision was taken after WCD Ministry had talks with Union Labour Ministry that 7 of 26 weeks of maternity leave for all women employees in private and government sector getting more than Rs 15,000 a month will be paid from that fund. For paying employers, Government has decided to utilise funds lying in labour welfare cess with the Government to pay employers. Government had increased maternity leave for pregnant women was extended from 12 weeks to 26 weeks in 2017 after Parliament had passed Maternity Benefits (Amendment) Bill, 2016. This law had paved way for doubling of the maternity leave from 12 weeks to 26 weeks for two surviving children. This benefitted about 1.8 million women in the organised sector and raised India's position to the third place in terms of the number of weeks given for maternity leave after Canada (50 weeks) and Norway (44). Q. Who has announced that the Government will pay employers, salaries for first seven of 26 weeks of maternity leave for women earning more than Rs 15,000 month?